I find José on a list called „11 Photographers From Cancun You Should Know“. It’s one of those terrible, click-baity lists everyone hates and the only reason I’m looking it up is because I don't know what to do with my time while travelling in Mexico. I find José on a list called „11 Photographers From Cancun You Should Know“. It’s one of those terrible, click-baity lists everyone hates and the only reason I’m looking it up is because I don't know what to do with my time while travelling in Mexico and South America. For at least six months I would be travelling the Americas with my girlfriend, and back at home I can't quite decide what the goal of my travels should be. Sure, I want to see the world and I want to improve my photography – but is that really enough? How will I get in touch with people from where we travel? The last time I was in Mexico, I went to uni, so getting in touch came as more of a natural process that didn’t have to be planned. This time, there was no project and no natural way meet new people. That's when I had the idea to do a series of interviews with photographers around the world – photographers like José Rocha. 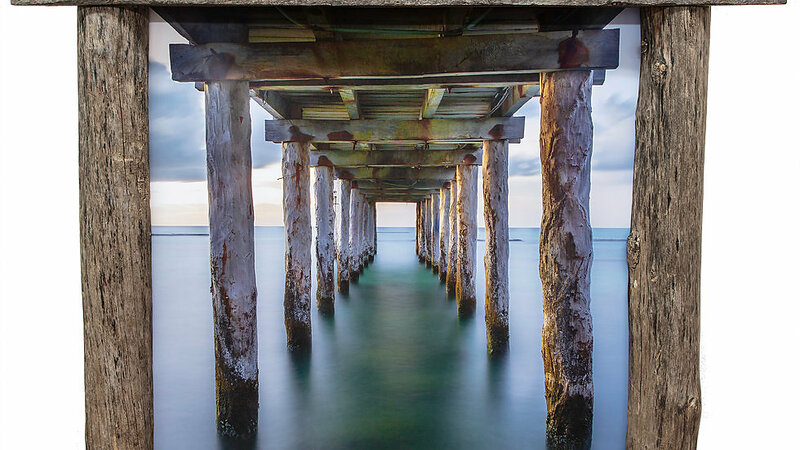 "Rocha was born and raised in Mexico City before studying nature photography in Florida and settling in Cancun, where he became a landscape and underwater photographer, captivated by its beautiful panoramas. 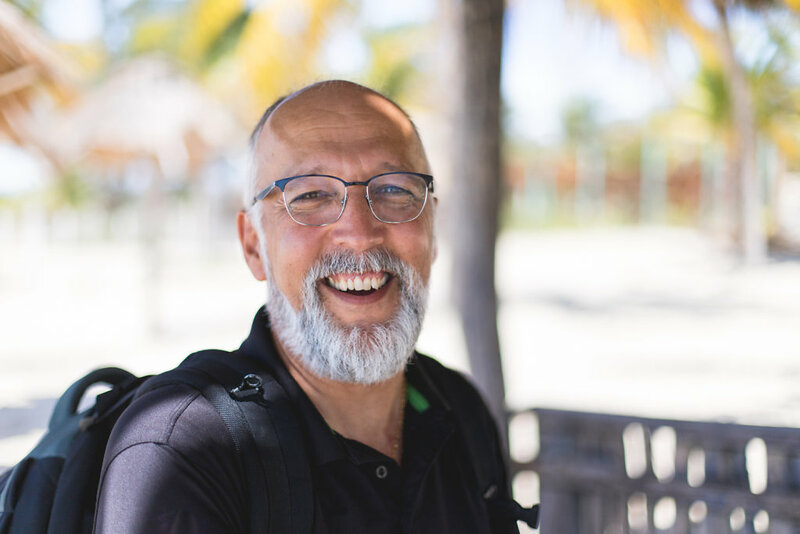 Since he’s a certified diver, his work includes shooting expeditions of free diving champions and underwater weddings and has been exhibited by Nature Photographer Magazine and in Mexico, in the Jupiter Lighthouse Gallery in Florida, and in the Louvre Museum in Paris. His photo Serenidad earned an honorable mention at the Panoramic Photography in Madrid in 2015. 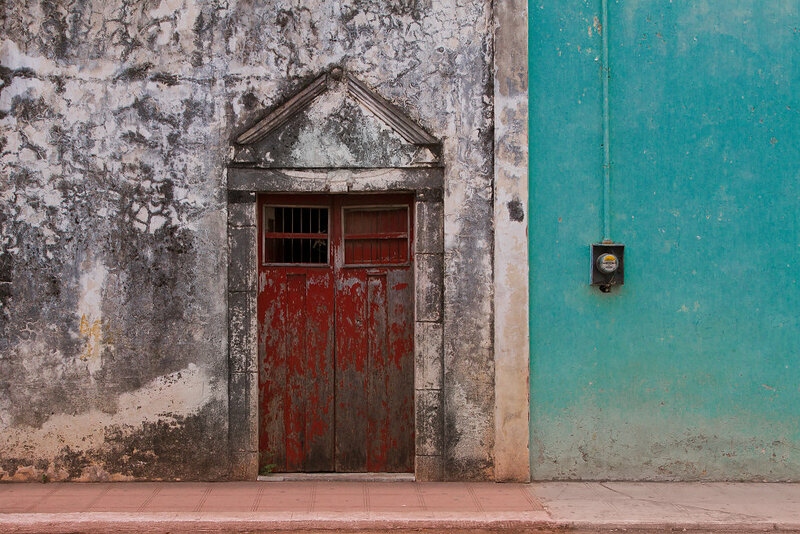 Rocha currently works as a photographer, cultural journalist, and entrepreneur." I am more than surprised when José's amicable reply arrives only a few hours after my request. It basically reads: "Sure, come around in my workshop, it’s close to the airport – or, if you like, we can meet directly at the airport." So I start preparing for the interview. I take a look at his portfolio online, try to think of questions to ask him and generally start working on a concept for my series of interviews, while at the same time starting to prepare for the journey itself, including moving out of my apartment, buying plane tickets and deciding on the travel route. When I finally meet José in Cancún, it becomes quite clear that my concept doesn't really work out. But then, so didn’t quite a few things in José's life as well. Born in Mexico City in 1964 he moved to Cancún around 1990 for a job as Assistant Manager at the first McDonald’s in the area. 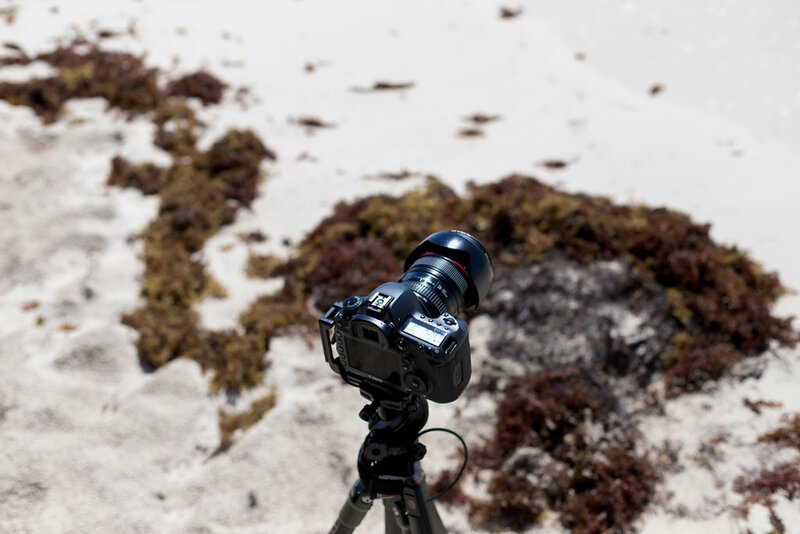 After working there for a few years, a series of career changes bring José to Florida, where he first learns about photography. His occupations include creating games for children at a family place, working at a company for interactive mazes, managing several cleaning companies and (a personal favorite of mine) working as a Night Manager in a comedy club, before returning to Cancún, my first station on my travels down south. I meet José in his workshop a bit outside of Cancún. My idea is to film the interview, but the GoPro-copycat I bought isn’t working properly and I forgot to level the audio recorder. More than that, my Spanish wasn’t sufficient to convey my idea to José that instead of sitting in his workshop for the interview, we should go for a ride and take a few photos at a place of his choosing. But like any true Mexican, José doesn’t mind changing his plans for the day on short notice. Unlike any true Mexican though, José is almost my height (about 1,90 meters, give or take), so even getting in my rental – a tiny Nissan March – proves to be an obstacle. José takes it with a sense of humor, an approach he generally seems to take. Together, we start off to one of his favorite photo spots. Weltkugelschreiber: Tell me about yourself. Who you are. What you do. All that stuff. José: I started with photography ... well, I did many things in my life. But I started with my art three years ago. Before that I had many jobs that have nothing to do with this. In one of them I worked for McDonald's for nine years, that's how I came to Cancún, 28 years ago. Approximately. José: ... no, no, no. We opened like a week before a huge devaluation of the peso. The peso went from 3,50 to 10,50 dollar. That was hard. And the United States had Laser Tag and a lot of high tech stuff. So I do everything low tech. Trying to do the best that I can with the least money that I can do it with. That's the way it usually works. But then the bank – it took ... well, whatever. I had to move. After that, I got a job with a Canadian company, where we did interactive mazes. Weltkugelschreiber: At that time, did you already take photos? José: No, no. I had my camera, to maybe take pictures of my daughters on their birthdays. That's basically it. Family pictures. And then I got another job at a restaurant. And in that restaurant I met somebody who offered me a job in the United States. So I worked in Florida for a place called the Improv Comedy Club, where they do standup comedy. José: Well, I was the Night Manager. I wasn't a comedian. Weltkugelschreiber: But you were surrounded by comedians, that's got to be great? José: Well... It depends on the comedians! (laughs) Some are really, really nice guys. Some others are – well it's hard to deal with them. I worked for Improv two and a half years. After that ... it wasn't my call, I think. We had to split, again. I opened a cleaning company with my wife. We did great until we tried to change our visa status. So we came back to Cancún like seven years ago. Weltkugelschreiber: So you had kind of a non-linear career path. José: Yeah. A bit weird. I started taking pictures two years before we came back, in 2009. I went to four or five workshops with a guy named John J. Lopinot. He is a retired photo journalist. I started taking pictures more seriously. It became my hobby. 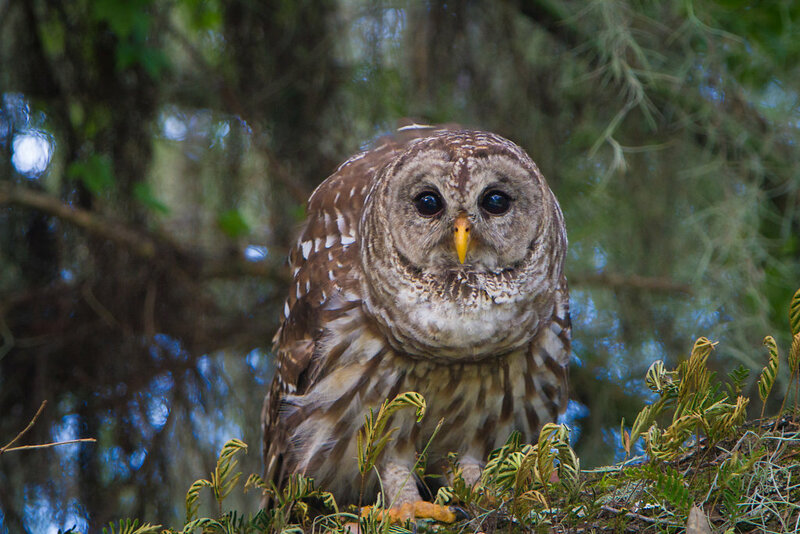 I went to take photos of owls and flowers. John has like a really nice schedule of activities that you can do. So I came back with a little knowledge of photography plus my equipment that I bought during those two years. When I returned, I opened a company to do detail cleaning on boats. Boats and Yachts. That didn't work. So I thought: Listen, I like photography, I have to start doing something with my equipment. And I tried to be like a wedding photographer. Because this is a huge market down here. Weltkugelschreiber: In Germany as well. José: Cancún. There's thousands of weddings. Just Las Vegas has more. So I said well, I have my knowledge, I have my equipment – but bascially I didn't have the ... talent, I think, to be a wedding photographer. Well, talent, I have it, like technically. But you have to be kind of romantic, I think. And I don't feel like guiding somebody what to do – but those are the pictures that sell. And then after I did like, ten weddings, I realized I never, never ever received a recommendation. No "Thank You" note. No "We love your pictures". So I thought: Maybe I'm not the right guy for this. Weltkugelschreiber: It's a lot of interacting with people. And most of your pictures are not about people. José: No. There's nobody in them. (laughs) You know, I used to work as a second photographer for a wedding photographer and I did very good. But when you get to the point where you have to pose the bride and the groom and finding the perfect light and the perfect spot in the hotel ... uargh. Forget it. I studied like 250 poses for the bride, the groom, this one, that one. And when it was time for the pictures I went blank. Nothing in my mind. So for my next wedding maybe four months after that, I just studied twenty poses for the bride, twenty for the groom. Because 250, that was too much for my memory. But it was the same thing: nothing. Nothing came in my mind to pose them. And then after I did like, ten weddings, I realized I never, never ever received a recommendation. No "Thank You" note. No "We love your pictures". So then I thought: Maybe I'm not the right guy for this. That was hard. Weltkugelschreiber: It is hard. You put a lot of effort in it. José: My website. The pricelist I did. I paid a guy to make my logo. I had all this stuff in marketing. But no: You're not the right guy for this. And then I took my rescue diver. And I specialized. I started doing those underwater Treasure Dress pictures. I said: That's my thing. You don't have the posing down there. It's easier for me. There's nothing like: "I like this picture, that I saw on Pinterest lalalala, can you replicate it?" Weltkugelschreiber: But you did have models? You took your diving gear and took photos of people in their bridesdresses underwater. José: Yeah. Those are my family. (laughs) Because all of us, we love water. My wife, my daughters and I myself are certified scuba divers. When I started, we made those dresses at home. Tried to promote my new genre of photography. Weltkugelschreiber: You wanted to make a living being a photographer. How do you do you that with shooting people underwater? José: Well, there's a trend named Treasure Dress. What you shoot depends on where you live and down here, we have cenotes, like sinkholes. So for a wedding here, we do the shooting there, underwater. And there's a market for that. If you can just go like 20 centimeters underwater, you just don't need me. And that's what happened. 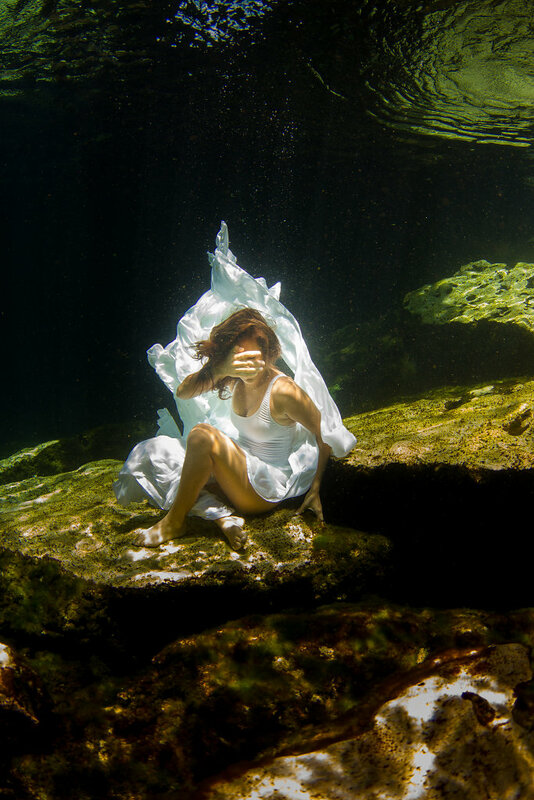 Weltkugelschreiber: So people get married and order a photographer to do underwater Treasure Dress photos. José: Yeah. There's a big market for that. But that didn't work at all. But for those shootings, I received compliments. That was nice. Weltkugelschreiber: So did ir work or not? José: Well, at the beginning it looked nice, but then the competition started very, very hard. Everybody started going underwater and I couldn't get to the niche that you need. Or the niche that I had wasn't the right one. Moneywise. Also, some guy created a ziplock bag for your camera with which you can go maybe 10 ft deep. That's very shallow, but half of my brides weren't good swimmers, so they really don't need a guy like me with housing for the camera, and lights and all that for like 7'000 dollars. José: Yes. If you can just go like 20 centimeters underwater, you just don't need me. And that's what happened. José: A friend of mine, Tony Diaz, is a photographer who specializes in conventions and groups. He loves that kind of thing. He's very talkative in big groups. I thought was also like that, because I don't have problems with a little group or with public speaking, but I cannot connect with the people through my photography. The camera, for me, is a barrier. Instead of for them! (laughs) If I have a camera, I cannot connect with anyone. I can connect without a camera. But not with it. So Tony has the offer to put some of his work in Ruth's Chris restaurant, a steak house in Cancun, but he hadn't anything to put on the wall because the owner of the place didn't want animals, didn't want people, he just wants landscapes. And at the time I had some of these. So I went through my portfolio with him and he liked my pictures and gave me the space. So how it works is, I decorate the place and I can sell my photos there. If I have a camera, I cannot connect with anyone. I can connect without a camera. But not with it. Weltkugelschreiber: So that became your business model? To find restaurants where you could sell your art? José: That became my business model. It's not just restaurants, because it's not that easy, not every restaurant works. Especially here. It's about where the restaurant is located. A friend of mine tried to do the same thing and he got a nice restaurant in front of the Lagoon. But when people get to that place, nobody cares about the walls. (laughs) The sunset, that's everything people want to see. Nice food. Nice sunset. Forget about the rest. So he invested a lot of money and sold nothing. José: ... I have to pay a commission. But I think it's very fair. If you're in a gallery, you also have to pay a commission. A high one, or at least higher than this one. Of course you have some other benefits that I don't have here. It's the setting, but also the approach of the seller. In a gallery, there's a guy and his only goal of the day is to sell something. The waiter at the restaurant, his goal is to sell more food, more drinks, make the customer come back. But the waiters at Ruth's Chris are very enthusiastic about my art and we have a good relation. Right now, I have two restaurants, I have a representation in a gallery in Mexico City and also, I'm in Puebla with two friends. 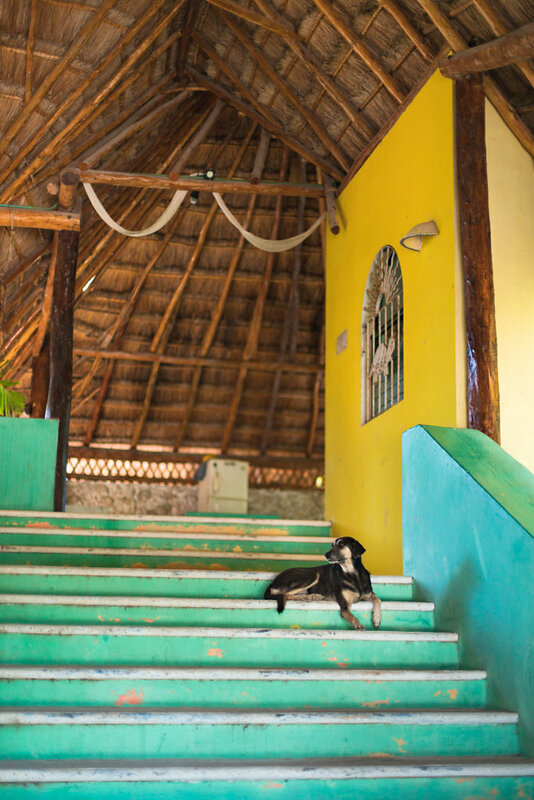 While we're stopping for coffee, I'm telling José how Rebekka and I stayed a night in Señor, a tiny village in Yucatan. He's genuinely surprised, because usually no tourist (or Mexican for that matter) visits the tiny village. 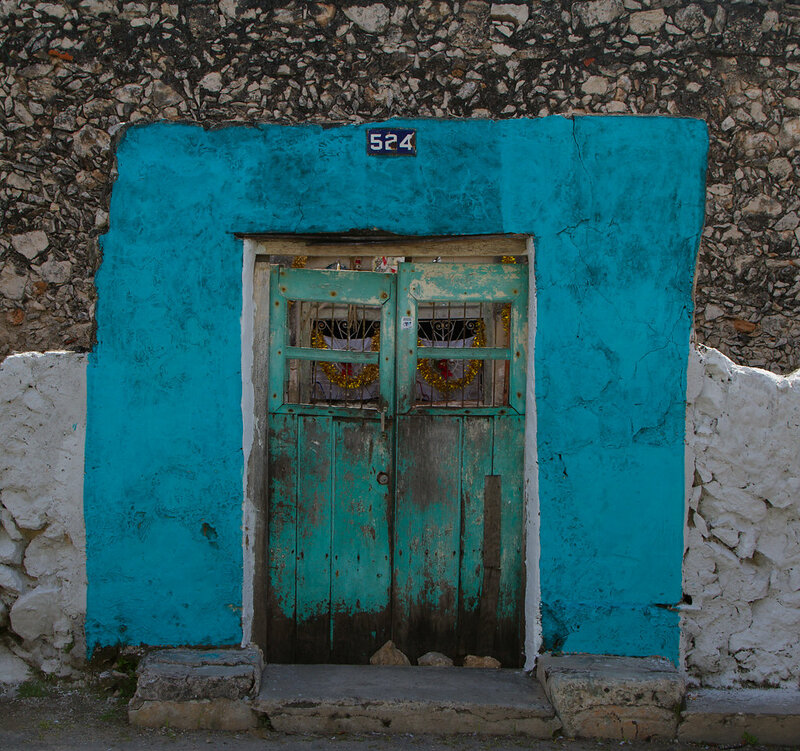 He on the other hand visits Senor regularly, since he is working on a new exhibition with photos of doors he takes in Señor. Weltkugelschreiber: So you have another exhibition planned with doors. José: Yes. I have two more. I have Donas, that just means doors. And then I have another one, and that I will name Dones. The masculine. But also, "don" has the meaning of a gift, like a gift from god, or a gift that you have from life. Like you have the gift of paiting, "el don de pintar.“ So I'm trying to make those two meanings of "don" come together. For example, there's one photo with bee hives, it's called Don Lucio, because Lucio has the gift of making honey. He's been doing that since he was ten years old. Now he's forty-seven. He has some family, daughters, grand-daughters, grandsons and everything. There will be one photo with the door and just a small box with all the tools. Here in the area there's a bee that we call Melipona that doesn't have a sting. It's very small, it looks like a fly, but it's black and yellow. So what people do is they find a trunk and inside that trunk they make the bee hive. And they put that right outside their home and they have honey all year long. The trunk will be in front of another door. Weltkugelschreiber: Is it a special kind of tree? José: No, I think it's just a normal tree. And the bees aren't dangerous, because they have no sting. It's a special kind of honey, more expensive than the regular one. Why, I don't know. Maybe it's better. And not everybody knows about that. Not even people living here. Like with Señor: It's just you and me and three more people maybe who know that place. (laughs) So if you tell people about the Melipona bee, almost nobody knows. So that's a nice thing for my doors. I do my own frames so they will look more like the real frame. And show the people some of the occupations of the people, we name them oficios. Occupations we used to have in the past, like making hammocks, like carving wood. I have a guy who does Henequen rope, that's a fiber that was popular in the forties. Until synthetic fibers came. So that's another one of the oficios we're losing. Weltkugelschreiber: So your photography is about preserving the memory of these jobs? Weltkugelschreiber: So you will be showing a photo of the door in full size and then the machine in front of the door? Partly in the picture, partly actually there in the exhibition. José: Yes. It's like an installation. Instalacion. Arte objeto. It will be part of a collection and the plan is to get it into a museum that might be interested in my work and in the traditions of the people who live in this area. It's going to take me a few more months to finish it. I was like a weekend photographer. With no goal. No project. Weltkugelschreiber: How do you find the things that you want to photograph? What's your process? José: At the beginning, I just went out to relax. It's not like I live with a lot of stress, I just wanted to do that. I needed space for myself. So I went out to take pictures. At the beginning just birds, when I lived in Florida, as I've told you. But when I moved here, I lost that connection. When I still lived in Florida, I had everything set up, I knew where to go, at what time ... everything was in place. Here, I couldn't find a place to find them. Weltkugelschreiber: You told me, when you were in Florida, you took a few workshops and that's basically it? José: That's basically it. Plus a ton of books that I read. I have a column in a newspaper here and another in the north of Mexico, so I write about photography and visual arts every week. When I change from one work to another, I try to do my best. When I had a cleaning company, I specialised in crime scene cleaning, for example. That is like the top of the cleaning business along with bio hazard and medical cleaning and all that. So when I went into photography I wanted to do my best as well and that's what I'm trying to do. Along the way I met people that were more artists than photographer. I was like a weekend photographer. I was like: "Today I will wake up at 3 am, travel 200 kilometers to get to that place, came back with my great pictures." That's what I did. With no goal. No project. Now, when I go to my Donas, for example, the night before I know what I want to do. What the project is. It has a soul from the beginning. When you see my pictures from the first three years it's like: "OK, this guy has a lot of birds. He has a collection of strix [owls]." Then you know that I like strix and I like birds. And that's all. Weltkugelschreiber: It's actually interesting, because the photos of the doors, on the website, feel like the most common things. They're just doors. It's only when you combine them with other objects in an exhibition when you notice there's more to them. José: You're right there. The doors I have on the website are just doors. From a small town. I was on a tour with three other guys in that town, one was interested in the church, the other one was interested in the market. I just liked that door or this door so I took some photos. But at the time it was just a door. And then I got tired of just doing doors and doors and doors, I needed something better, or something bigger, or something different. And then I had the idea of doing the doors full-size with some elements in front. But that takes a lot of work. Weltkugelschreiber: How long did it take you to come from: "I'm just photographing doors" to "This is what I want to do, this is my exposition, this is the way I am going to do it to make art"? José: Maybe a year and a half to two years. I'm a guy who gets tired of things frequently. It's like a cycle. I can do doors and then I just get to a point where I'm like "And now, what?" So I try to find a way to do it different, or do it better. And then I find a way. And that's kind of the evolution. But it's easy because I just get bored or tired of doing the same and the same and the same. I took it and I framed it with the wood from the deck where I took the photo. They belonged together. And the other thing is, that I have to find a way to ... well, nowadays, to become a photographer, it's very affordable. It's very easy. There's a lot of people that have almost the same picture that you have. So you need to try do something different with your picture. I found this long exposure, that I like, and I like the feeling. That's the way I am, maybe. Maybe you can find them more technically advanced, as you said, but for me I just found more pleasure in doing that than a shot of the sunset. It would be maybe really nice, but for me, that's just a shot. Nothing else. It's kind of weird. Weltkugelschreiber: Is it more about feeling pleasure or more about doing something different than all the others? José: Well, I've been characterized also for my frames. You know, I do my own framing. Most of it. And the picture that I sold the most, like 15 out of 16, was from underneath a deck. It's named "Soulmates". I did that one with pieces of reclaimed wood. From an old dock, I found when I went scouting to a marina of a friend of mine. He had a lot of wood under the dock, abandoned, because he took a part of the dock out. And I asked him: "Will you be so kind to give me some of your wood?" Weltkugelschreiber: You can't deny that you're also a businessperson. You're an artist, but you're also a businessman. You need to think about how to make a living. José: Oh yeah. Nowadays I don't take a picture if I don't think I can sell it. That's the bad part. 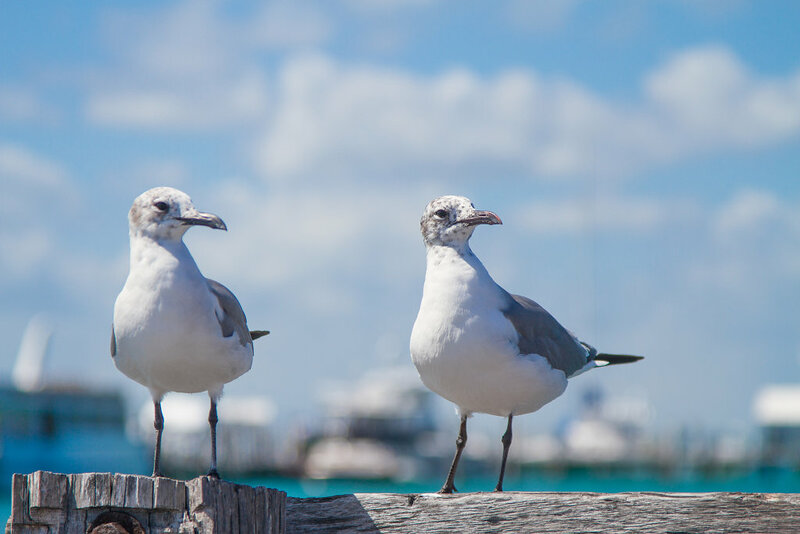 I have friends who tell me: "Oh, let's go to Isla Mujeres, take pictures." No. For me, it's a waste of time. Sometimes, I go, because I like to be with my friends, but it's just like ... maybe, five years ago, I would've taken 500 pictures. Now, I go and I take maybe five or fifty, or none – it's just to be with them. Weltkugelschreiber: So do you take pictures for your pleasure? Pictures where you say: This is just for me, I'm not going to sell it? José: No. Just my family pictures, those are for me. Now I have to take pictures to sell them. When I go to Señor for example, I go out at 5:30 or 6 in the morning and I come back at 9 pm. Whole day out. Just looking for a picture that I need to make my Don – and to sell it. I told him: "If you come here, and take a picture of my deck then the value of my work is going down." Weltkugelschreiber: I figure your photos don't really work digitally, online that is. Because you need to have the material, the structure and the haptics of it, with the frame and all that. José: Well, it's complicated. Or actually, it's not complicated. That the process: I have to go to a place, a family business. You hire them to get a new dock, so they take down the old dock, put it in the backyard. So after a while, this guy has like ten tons of wood. You could go there and it was just like a treasure hunt. Every time I went there I found parts that were different. But this guy, he passed away a year and a half ago. And that's – that's a problem (laughs). José: No, for me! (laughs) Now, the business is under his wife and his wife is – the lady is like a housekeeper! (laughs) The lady has half a ton of wood – gone! Half a ton of wood – gone! It's just like: Lady, I need this wood! Weltkugelschreiber: We're here. Tell me about this place. José: So this place, I only shared it with two friends. Weltkugelschreiber: But we've only known each other for like ten minutes! We head out to take a few pictures in José’s favorite spot. It’s a few miles outside of Cancun and almost deserted except for a few tourists from a hotel that recently opened nearby. Unfortunately, Iit’s already noon and the sun is really bright, so we are using four ND filters stacked upon each other. Because one of the filters is my own, José tries different shutter speeds. For me, it’s nice to see that even a professional photographer needs to try out a few shots that end up being completely dark before he finds the right exposure time. Weltkugelschreiber: You’ve been doing photography for nine years now. You’ve changed your subjects and your methods. Do you ever fear that you might become bored of doing photography as a whole at some point? José: I don’t think so. I see myself doing this for the rest of my life. Because it’s always something different. Now, my photography is OK, so I have to take another step. I’m working on doing my photography on lithography. And seeing whether that’ll work. If that’ll work, that would be nice. Because then I have another step I can take. But I don’t think I’ll get bored. Because there is always something different. If I had started 25 years ago, I wouldn’t be doing what I am doing now – and I really like what I’m doing now. Weltkugelschreiber: Do you sometimes wish you had started photography earlier in your life? José: Sometimes I think of that, but I didn’t have the willing or the equipment or the time to do photography. So I think it happened at the time it was supposed to. I have friends that have been photographers for 25 years. In my case, I studied geology, I worked at several places that I’ve told you about. I studied Business Administration up to post-graduate, I lived here, I lived in Florida, then I came back – when I see my friends, that have been photographers for their whole life, I think they have a very narrow view of their lifes. Of their photography. They’re doing well, because they are really good at it after 25 years, there is no doubt about it, but there are no new things in their lifes. If I had started 25 years ago, I wouldn’t be doing what I am doing now – and I really like what I’m doing now. Weltkugelschreiber: Do you have a goal? Like somewhere, you want to be with your photography? Because for me, it would be great to sell a photo for 500 dollar or euro, but for you that's normal now. José: Moneywise, no, I don’t have a goal. I try to be happy with what I’m doing. And I’m happy with what I’m doing now, so I just keep it like this. (laughs) I really enjoy it. You have some kind of freedom. You can go where you want. Then people start buying your stuff, that’s an amazing feeling. The first day I sold a piece, it was like: „Man.“ It was just unbelievable. It was really, really amazing. 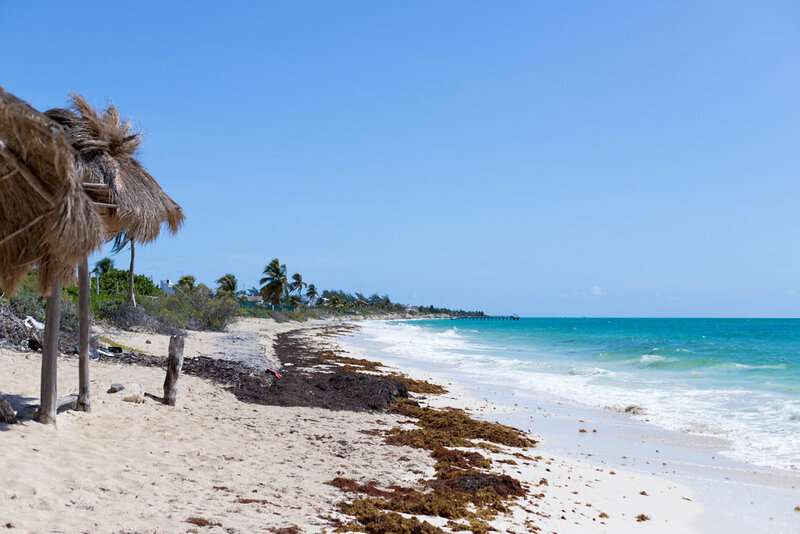 Also, if you want to know more about my travels in Mexico, here's an article about the time in Yucatan (in German, but das ist nicht schwer, is it?) and here are some more photos from Yucatan as well.